If you decide to take the route of letting your property then employing a good agent can make all the difference. Putting your property up for rent is increasingly common in the current economic climate and we provide a fantastic service to protect the interests of each party involved. We work hard to only provide the best quality housing for the best quality tenants on the market. Sourcing professional tenants is at the heart of our lettings service. Our wide range of letting services has been carefully created to ensure that you are provided with complete assistance and support. We welcome all landlords whether they have one property to rent or a whole portfolio. We appreciate there is more to successfully renting property than just finding tenants; – quality of references, appropriate clauses in the tenancy agreement, attention to detail in the paperwork and prompt payments add up to a successful tenancy. As a member of ARLA , The Association of Residential Letting Agents, we are committed to following the highest industry standards across all business disciplines. 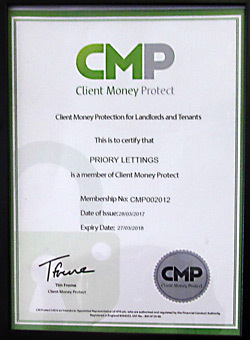 In addition we ensure all funds are covered with ‘Client Monies Protection’. We strongly believe in the transparency of our service and we will clearly state all fees to you before we let your property. Our transparency goes even further we are members of the Property Ombudsman scheme and adhere to his rigorous code of practice and redress scheme. With a fantastic team who are experts in our industry and passionate about our region we invite you to get in touch and make use of our knowledge – we look forward to working with you. *** NEW *** Priory Lettings are delighted to offer to the market this executive and much improved four bedroom detached property of "Elmshan" design situated on the desirable "Golwg Y Mor" Estate in Rhoose. The 18 month year old property was purchased by its current owners with over twenty five thousand pounds worth of extras and has been improved further to include a fully landscaped garden, CCTV and an attractive glass balustrade to the first floor. The property is situated in a quiet location and offers space for the whole family to enjoy, Briefly comprising entrance hallway, kitchen/diner/breakfast room, utility, lounge, w.c and to the first floor four double bedroom (two en-suites) and a family bathroom. Outside there are front and rear landscaped gardens and a spacious driveway leading to a garage. The property is in very close proximity to the train station providing easy links into Cardiff and close to the very highly rated Rhoose Primary School. Available from the end of April. The property benefits from new flooring and blinds throughout and viewing is highly recommended to appreciate. No DSS. No pets. £200.00 Admin Fee for Sole Tenancy & £250.00 Admin Fee for Joint Tenancy. Priory Lettings are pleased to offer a beautifully presented three bedroom semi-detached house in the sought after Highlight Park development located close to supermarket, high school and has great links to Cardiff and the Vale. The property accommodation briefly comprises; entrance porch, hallway, through lounge/diner, modern fitted kitchen, three bedrooms and family bathroom. The property benefits from gardens to front and rear, off road parking and a detached garage. No DSS. No pets. £200.00 Admin Fee for Sole Tenancy & £250.00 Admin Fee for Joint Tenancy. Priory Lettings are pleased to offer a beautifully presented unfurnished penthouse apartment situated on the popular Waterfront development. The two storey apartment briefly comprises; hallway, study area, two double bedrooms with en-suite to master, family bathroom and lounge and kitchen/diner to second floor. The property has show home standard interior, a small balcony area off the master bedroom and a large South Westerly facing terrace with plenty of seating space and glazed balustrading providing views across the water looking out towards the Bristol Channel. Water rates included. No DSS, No pets. Available immediately. £200.00 Admin Fee for Sole Tenancy & £250.00 Admin Fee for Joint Tenancy. Priory Lettings are pleased to offer a rare opportunity to rent this fantastic two bedroom unfurnished apartment situated in the Heart of Cardiff City Centre. The spacious living accommodation briefly comprises; spacious open plan lounge and kitchen, two double bedrooms with master en-suite shower room and family bathroom. The property benefits from a balcony with panoramic views over the River Taff and Millennium Stadium, integrated kitchen appliances, lift access and underground allocated parking. No DSS. No Pets. £200.00 Admin Fee for Sole Tenancy & £250.00 Admin Fee for Joint Tenancy. Priory Lettings are delighted to offer a fully refurbished three bedroom semi detached house located in a quiet cul-de-sac location being close to Victoria Park, local shops, public transport links and Cadoxton school. The unfurnished accommodation briefly comprises; entrance porch, cloakroom, good sized lounge, dining room with patio doors to rear garden and new fitted kitchen with three bedrooms and family bathroom to the first floor. The property benefits from good sized gardens to front and rear. No DSS. No pets. Available immediately. £200.00 Admin Fee for Sole Tenancy & £250.00 Admin Fee for Joint Tenancy. A spacious traditional mid terrace property situated in the heart of the West End and close to railway station, schools, shops and local beaches. The accommodation comprises: hall, lounge/diner. family room, kitchen, four bedrooms and bathroom. enclosed rear garden with rear lane access and garden shed. viewings are highly recommended to fully appreciate. No Housing benefit, pets or smoking. £200.00 Admin Fee for Sole Tenancy & £250.00 Admin Fee for Joint Tenancy. Priory Lettings are pleased to offer an immaculately presented three bedroom mid terrace property offering spacious living accommodation throughout. The unfurnished accommodation briefly comprises; entrance porch, spacious hallway, through lounge/diner open plan to fitted kitchen with built in appliances, three bedrooms and modern shower room. The property benefits from low maintenance gardens to front and rear and both off road parking and garage to the rear. No DSS. No pets. Available immediately. £200.00 Admin Fee for Sole Tenancy & £250.00 Admin Fee for Joint Tenancy. Priory Lettings are pleased to offer a well presented three bedroom mid terrace property in a quiet location. The property accommodation briefly comprises; entrance hallway, lounge, dining room, kitchen, three bedrooms and family bathroom. The property benefits from front and rear gardens. No DSS. No pets. £200.00 Admin Fee for Sole Tenancy & £250.00 Admin Fee for Joint Tenancy. An opportunity to rent this superb luxury apartment situated in the sought after Hayes Point development with on site facilities to include a fully equipped gym, swimming pool, tennis courts, concierge, landscaped gardens and access to beach. The accommodation comprises: entrance hallway, open plan lounge/fully integrated kitchen, two double bedrooms with fitted wardrobes to both and en-suite to master and family bathroom. Two allocated parking spaces. Water rates included. Viewings highly recommended to fully appreciate. £200.00 Admin Fee for Sole Tenancy & £250.00 Admin Fee for Joint Tenancy. Priory Lettings are pleased to offer a two bedroom beautifully presented unfurnished apartment situated in the heart of the West End of Barry. The property briefly comprises; hallway, lounge,kitchen,diner two bedrooms and a bathroom with shower.. Far reaching sea views are offered from the rear, The property is close to local railway station, shops and leisure facilities. No pets. No DSS. Available from mid April. 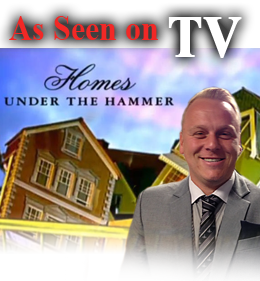 £200.00 Admin Fee for Sole Tenancy & £250.00 Admin Fee for Joint.